Home > Baseball Bats > Demarini > SR. Youth > 2019 CF ZEN BALANCED (-10) USA - CALL FOR TEAM PRICING! Designed for the player who wants it all - a lightweight swing, monster performance and great feel - the new 2019 CF Zen Balanced (-10) 2 5/8" USA Baseball bat from DeMarini is the best of the best. The Paraflex+ Composite barrel and handle allows us to engineer an enormous sweet spot paired with our 3Fusion™ System which keeps the energy back in the barrel to reduce hand sting. 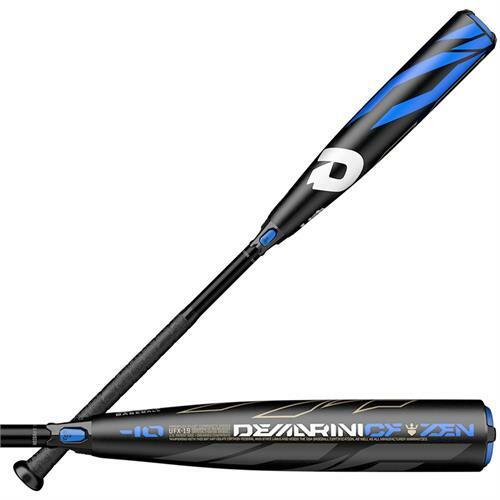 Light and easy to swing, this bat is a powerful addition to any lineup.